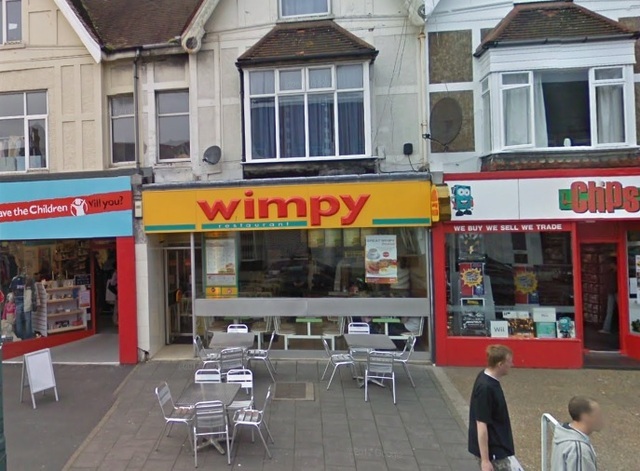 Wimpy is returning to Portslade and the burger bar’s boss wants to be able to sell beer to diners. The owner Kanagasabai Thirukkumaran has applied to sell alcohol from 10am to 10pm daily at the burger bar in Station Road. It is currently being refurbished. Wimpy plans to reopen at the site that it vacated in 2012. It became a Chicken Cottage. After talks with Sussex Police, Mr Thirukkumaran has agreed to restrict drink sales to restaurant customers. He would also offer deliveries but not off-sales. One person named in a report going before a Brighton and Hove City Council licensing panel as S Sobhey has written to oppose the application, raising concerns about alcohol deliveries and anti-social behaviour. He said: “By having a seating area for customers to consume alcohol would in turn increase the number of street drinkers. “When intoxicated the street drinkers tend to be aggressive and violent. “This impacts on the safety of other members of the public and the appearance of the area. Neither Sussex Police nor the council has opposed the application. The terms of the proposed licence include waiter or waitress service to people sitting at tables. CCTV would be in operation, Mr Thirukkumaran said, and staff would be trained and updated regularly on a Challenge 25 policy restricting under-age drinking and sales to people who appear to be drunk. The licensing panel, made up of three councillors, is due to discuss the application on Friday (22 March) at Hove Town Hall at 10am. The hearing is open to the public. Street drinkers in a Wimpy? What planet do these people live on? If they’re worried about street drinkers the Aldi up the road should be of more concern to them for selling bargain booze! Will make Poor-tslade even more chavtastic!